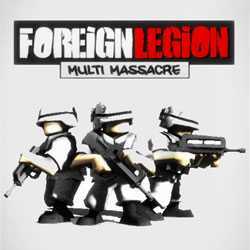 Foreign Legion Multi Massacre is an Action and Casual game for PC published by Sakari Games in 2012. The soldiers are ready for battles. When the legionaries were calling the helicopter to come back home, They suddenly discover a big box which is hidden in the woods.